PETISOVCI (Slovenia)• • Croatia diverted the flow of thousands of migrants towards Slovenia yesterday after Hungary sealed its border to block the path of the streams of migrants desperate to reach northern Europe. Slovenia received the first buses from Croatia transporting the migrants as a much-hyped European Union (EU) deal with Turkey to defuse the crisis - which has seen some 600,000 mostly Syrian migrants enter the EU this year - began to look shaky. Ahead of the anticipated arrival of large numbers of migrants, Slovenia suspended rail traffic with Croatia. Hungarian police and soldiers sealed its border with Croatia with barbed wire shortly before 1am yesterday morning, just after a group of 1,500 migrants crossed. The two official border posts of Beremend and Letenje remain open for those with valid papers. 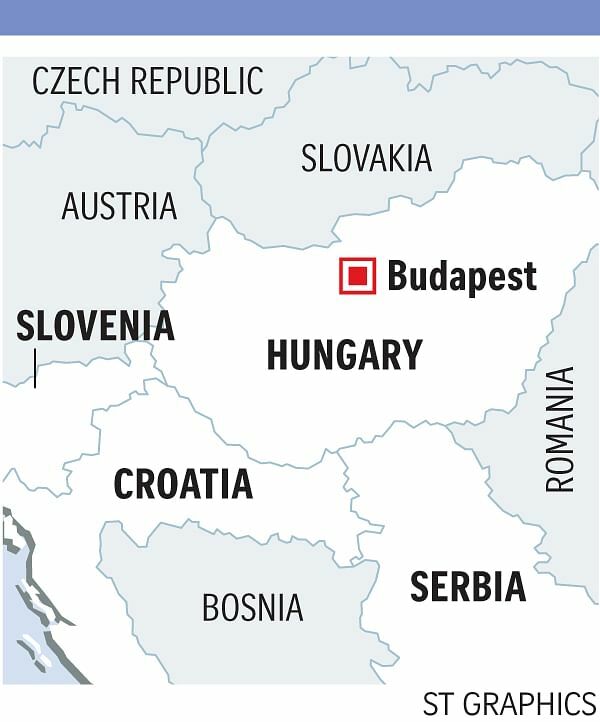 Hungary's right-wing government had already sealed its frontier with non-EU neighbour Serbia in mid-September - until then the main entry point into the EU for migrants fleeing conflict and poverty in the Middle East, Asia and Africa. This, however, merely diverted the flow of people to Croatia, which began to transport the migrants by trains and buses to Hungary before the border was sealed. Croatian Foreign Minister Vesna Pusic warned on Friday that if Slovenia and Germany closed their borders, Croatia would be forced to do the same. "Slovenia will not close its border unless Germany closes its border. In that case, Croatia will have to do the same... There is no alternative," she told state-run television network HRT. Most migrants are trying to get to Germany, Europe's economic powerhouse, which has said it expects up to one million asylum-seekers this year. Hungary, a member of the EU and the passport-free Schengen zone, said it had decided to close the frontier with Croatia after its call for deploying EU forces to Greece's borders - where the migrants arrive - had failed to spark action at an EU summit in Brussels on Thursday. The summit also appeared to have faltered in its efforts to reach a deal with Turkey to defuse the migrant crisis. Ankara said Brussels had offered too little money and that the plan was just a draft. In the latest in a series of jabs at Europe over the crisis, Turkish President Recep Tayyip Erdogan on Friday ridiculed the bloc's efforts to help Syrian refugees. "They announce they'll take in 30,000 to 40,000 refugees and then they are nominated for the Nobel for that. We are hosting 21/2 million refugees but nobody cares," Mr Erdogan said. In the latest tragedy, 12 migrants drowned yesterday when their boat sank off the Turkish coast as they sought to reach Greece.